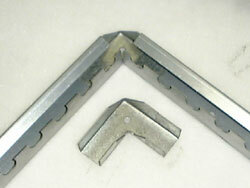 Tired of messing around with clips or impaling pins to mount your Paint Pocket arrestors? Upgrade your booth's mounting method with our new 'Zipper' mounting bracket. 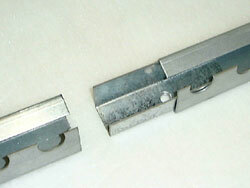 The 'Zipper' mounting bracket is designed specifically for use with Paint Pocket arrestors. 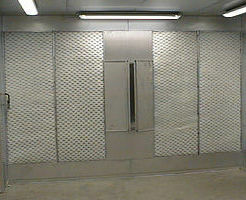 the 'Zipper' can be mounted in any type of spray booth. The 'Zipper' saves you money. 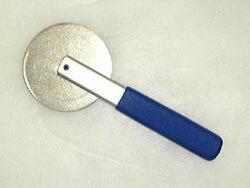 Filter changes will now take less time because Paint Pockets arrestors zip in and out of the holding bracket. The 'Zipper' has the integrity to hold heavily loaded Paint Pockets arrestors better than other mounting systems. By enclosing all four sides of the Paint Pockets arrestor into the 'Zipper' mounting system, you eliminate the need to overlap filters. Using this method you only pay for the filters you are using, not for what ends up unused due to overlap at the top, bottom, and sides of your booth. We have one customer using the 'Zipper' that estimates they have eliminated 33% of their paper filter waste by switching to our new mounting system. 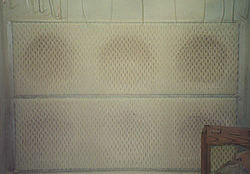 Proper use of 'Zipper' eliminates risk of overspray blowby bypassing the filter. 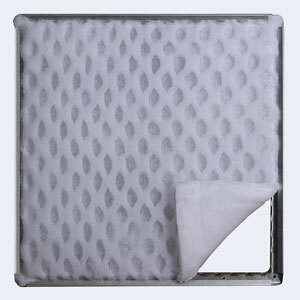 This helps to protect your back sections and your fans. 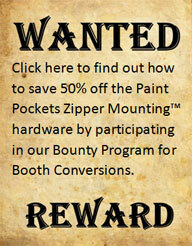 For ease of installation, Paint Pockets offers the 'Zipper' Installation Tool (ZipIT™). With this handy tool, installation takes just a few seconds and the ZipIT insures the arrestor is locked into place.